1. What’s the story behind starting AC Architects? I set up the business in the midst of the recession in 2009. I had been made redundant and there weren’t many architecture jobs in Europe, so I felt like I had to create an opportunity for myself. Initially I was looking to create enough work to support myself. However, over the next few years, after building a lot of extensions and doing some work alongside SIPs Industries, I developed a passion for the Self Build market and decided to become a specialist Self Build architect. At AC Architects we have now grown to six employees; we’ve got a team of three architects, two technicians and an office manager. 2. What do AC Architects do? 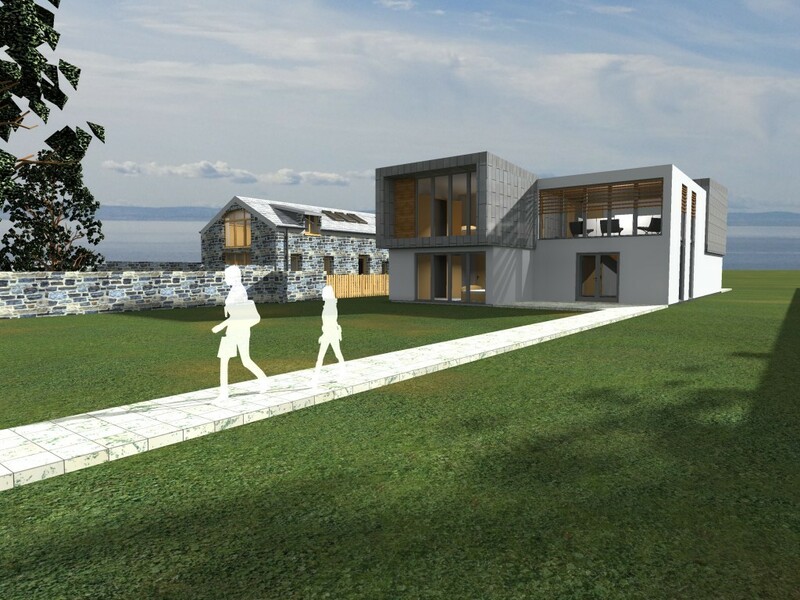 We work throughout the UK mainly on one-off eco houses, ranging in budget from £80,000, up to £1.5m. 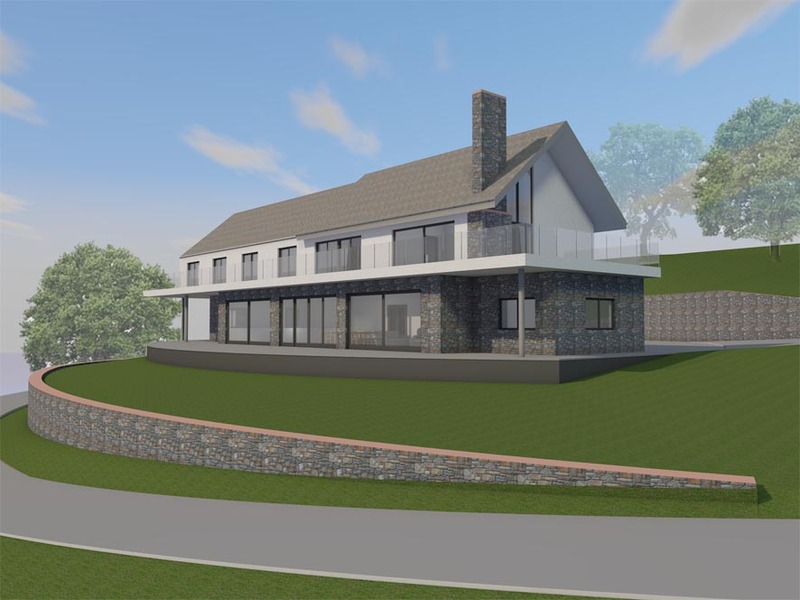 We predominantly work with Self Builders – a very different type of client compared to the traditional client looking for professional architectural services. Typically, a Self Build will require a lot of professional assistance, in order to help educate the Self Builder throughout the building project. We find that someone who is new to the Self Build process will usually have watched a couple of Grand Designs episodes, and will have a lot of ideas. What we do is work closely with the Self Builder, help them with their ideas, and take them from the initial design right through to the relevant planning and building control approvals. In short, we are here to take the Self Builder by the hand, and walk them through every stage of the Self Build project – even managing aspects of the project on site. 3. Do AC Architects use any specialist technology or building methods? We design all types of houses using all construction methods. 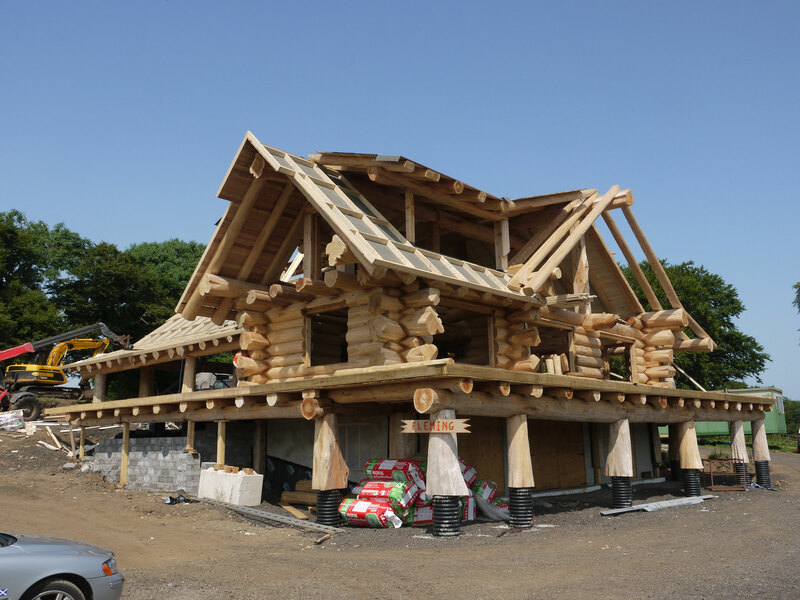 These include: timber frame, log homes and ICF – but we’re specialists in the Structural Insulated Panel System (SIPs) method which is something that Self Builders are very keen on using. The majority of our buildings that we work on have lots of eco technology in them, and the biggest benefit for the Self Builder is that the running costs for the home are much lower than most other types of build. For further information on the SIPs building method please visit the Structural Timber Association website. 4. How Much Does an Architect Cost? For a new build housing project, based on a full service (inception through to on site assistance), the RIBA suggests that an appropriate fee should be between 8-10% of the overall construction cost. AC Architects offer a very cost effective and affordable professional architectural service, and the main reason for this is because we work with a fixed rate. 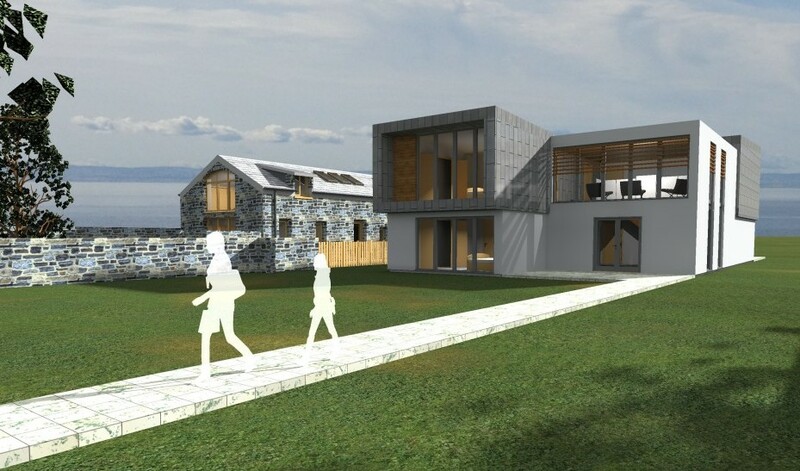 The majority of other architects work on percentage costs, which can result in little understanding of the total costs involved in a Self Build project. However, we give our client a fixed cost at the very start of the project so that they know exactly what to expect with regards to costs, and have a complete picture of their investment going forward. We also itemise everything that’s included in each of the stages of works that we’re going to do, therefore budgeting cash flow during the project is easy. 5. What makes AC Architects different from other architects? We feel it is important to meet with all potential clients and find out exactly what they want, prior to providing information on costs. We meet to discuss the Self Build process, covering everything from the planning stages, house requirements, budget and construction method. This free initial meeting is a perfect opportunity to get to know our clients, and find out what will go into their house design to make it their dream home. 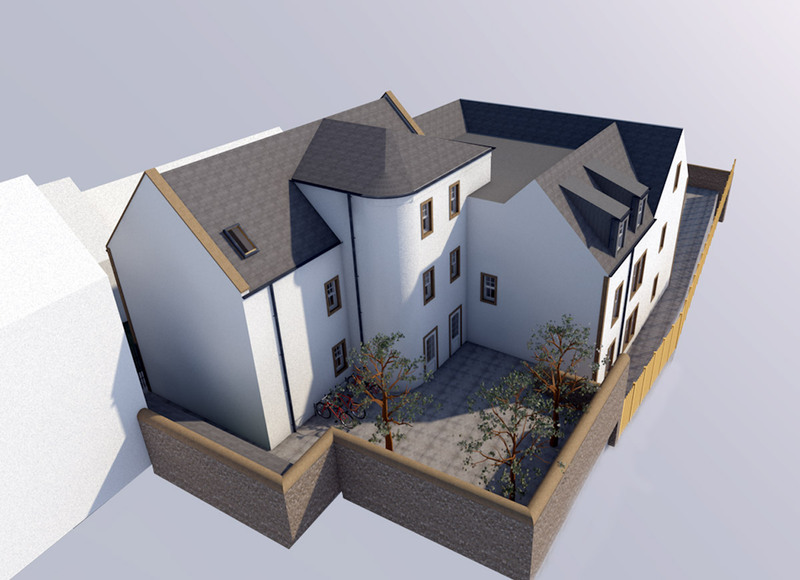 All clients and house designs are different, therefore a bespoke fee proposal is created for each project. As mentioned earlier, we provide cost certainty which most other architects do not – through offering a fixed fee rather than a percentage. This provides our clients with transparency from the start. Along with our own fees, we advise on all other consultant, planning, and building control application costs. This means that the client can budget all payments throughout the design process. Our clients don’t just get to see their drawings in traditional 2D format, they get to view their new home or project in 3D format. At this very initial stage we can either bring the client to our office and show them their house on a big HD digital projector, or go to their house and plug our computers into the TV. This means that they get the opportunity to walk around their house or extension from day one, and they don’t need any fancy drawing experience or any technology knowledge to do so. We can also output our drawing files to iPads and iPhones and other mobile devices. It almost feels like you’re walking round in a computer game, and it shows exactly what the Self Build home will look like. We provide this service for all projects and it’s not an additional service, that’s just what we do. We’ve specifically honed our skills for the Self Builder, because they are a different type of client, with different requirements. A traditional architecture client, your commercial client, is used to working with architects and engineers, and they will engage a main contractor to complete the build – i.e. they will have on hand a site manager, a contracts manager, a Quantity Surveyor and all of the trades required. However, your Self Builder is going down the Self Build route for the first time, and it will most likely be the first time they have worked with architects or engineers. Most choose Self Build because they want to get as much house for their money, and therefore they’re not going to engage a main contractor to do everything. They may opt to project manage everything themselves. Typically they really don’t have the knowledge to start their Self Build project alone, so they need us to guide them on it, which is what we love doing. In short, we see the Self Builder as someone who is a little different from other types of clients – and we’ve got the skills, knowledge and experience to help them. 6. What does the Self Build process actually involve? We do the traditional part of the role, which includes initial designs, planning, building control and technical drawings. We then assist the Self Builder right the way through in programming the works, engaging different sub-contractors and spending time really teaching them about the building methods so that they know what’s going on. We want our client to be competent enough to be able to deal with day-to-day questions from tradesmen, and become the go-to person for their own Self Build project. 7. What does the future look like for AC Architects? Everything is looking great for us. We’re now getting clients coming to us from as far south as Devon, who want us because we’re seen as a specialist in the industry. This is a great honour for ACA – to be sought after to do work that far down south, where there are probably hundreds of architects in the local area, means that we must be doing something right! It’s not because we’re the cheapest, it’s because we’re really good at what we do – and we can provide the specific services our clients need. We have all the software and applications to work effectively and remotely with our 3D drawing package, and communicate with our clients regardless of where they may be located. Is it time for you to seek professional help and guidance for your Self Build ideas and project? Get your dream home up and running, and contact the Self Build Experts at ACA today!